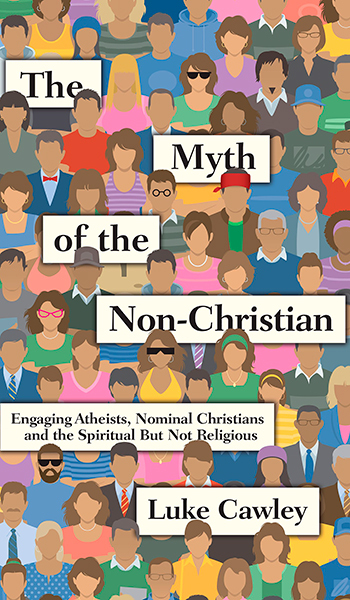 Luke Cawley, The Myth of the Non-Christian: Engaging Atheists, Nominal Christians, and the Spiritual But Not Religious (Downers Grove, IL: IVP Books, 2016). Have you ever purchased a baseball cap labeled, “One Size Fits All”? I have. Inevitably, it’s too big for my son’s head but too small for mine. One size doesn’t fit all. This concern for contextual apologetics explains why Cawley opposes the use of the term non-Christian. “There’s no such thing as a non-Christian,” he writes in the book’s opening sentence. By this, he doesn’t mean that there aren’t people who don’t believe in Jesus Christ. Rather, he’s poking a hole in the way Christians categorize “non-Christians” in one-size-fits-all terms. “‘Non-Christian’ is a category so broad it is obsolete,” he writes. Atheists, Buddhists, Hindus, Muslims, nominal Christians, and the spiritual-but-not-religious crowd are very different from one another, after all. Though these three characteristics can be distinguished, they usually work together. One kind of question may rise to the fore, but the other kinds of questions still lurk in the background. Knowing this, the wise evangelist knows how to speak to a person in the place where they actually are (intellectually, emotionally, spiritually, etc.). With these broad characteristics in mind, the bulk of The Myth of the Non-Christian examines three kinds of people common in the post-Christian West: spiritual but not religious, atheists, and nominal Christians. For each group, Cawley outlines “stories” that help readers understand the particular contexts of these three groups, “questions” that members of each group typically raise, and “practices” that seem to help move people in these contexts closer to Jesus. This doesn’t mean that contextual apologists can skip their homework, by the way. Throughout the book, Cawley emphasizes the importance of research into atheism, science, psychology, other religions, spirituality, history, and the like. To establish plausibility, we must be able to demonstrate that Christianity, properly understood, is intellectually credible. On the other hand, keeping Jesus as the argument’s endpoint reminds us that our conversations serve an overarching spiritual purpose—to move people closer to God, who has revealed himself through Christ. I recommend The Myth of the Non-Christian to any Christian interested in evangelism and apologetics. As a vocational minister, however, I would especially recommend it to other vocational ministers and church leaders. It will help us understand the challenges in reaching post-Christian Westerners for Christ as well as best practices for doing so. P.S. This review first appeared at InfluenceMagazine.com. Every day, it seems, scientists uncover new wonders — both large and small — in our world. These wonders redound to God’s glory, for He created them all. And among those wonders, surely the human mind ranks high. Aside from the angels, only humans are able to perceive God’s handiwork and praise Him for it. Yet many humans do not. Instead, they “suppress the truth by their wickedness” (Romans 1:18). Consequently, “although they knew God, they neither glorified him as God nor gave thanks to him, but their thinking became futile and their foolish hearts were darkened” (1:21). By they, of course, I mean we. Ingratitude for God’s gracious gifts mars every human heart. Because creation is wonderful and the human heart wicked, I am ambivalent about science. On the one hand, I benefit from advances in science. For example, I use Enbrel — a TNF inhibitor drug — to treat my ankylosing spondylitis. My iPhone, iPad, and laptop are indispensable tools in my work and my graduate studies. Their apps and programs make use of complex mathematical algorithms to produce, store, and communicate information. Energy efficient air conditioning and heating keeps me and my family cool in the summer and warm in the winter, at low cost. I could go on with more examples, but you get the point: Science has its benefits. I don’t believe Christianity is antiscience. How can God’s Word and His world contradict one another? But many people — including many Pentecostals — believe Christianity is antiscience. How, then, should we as Christians live between the benefits of science and the challenges it seems to pose to our faith? A focus on Pentecostalism’s empirical quality does not mean that arguments are unimportant. We are people of the Spirit, yes, but we are also people of the Word. Jesus Christ is the Logos of God (John 1:1–3,14), His Word, Reason, and Logic. If science or anything else challenges our faith, we must mount a tough-minded apologetic. Paul’s ministry is exemplary in this regard: “We demolish arguments and every pretension that sets itself up against the knowledge of God, and we take captive every thought to make it obedient to Christ” (2 Corinthians 10:5). Since God exists, any scientific or philosophical argument that denies He exists is a bad argument, and we should be able to demonstrate this through close reasoning. Paul did not merely evangelize the lost, he reasoned, explained, and proved Christ’s vicarious death and victorious resurrection to them (Acts 17:2,3). Third, we must interpret both Scripture and nature humbly. Scripture and nature are God’s self-revelation (Romans 1:20; 2 Timothy 3:16). Theology is primarily our interpretation of God’s revelation in Scripture, while science is primarily our interpretation of God’s revelation in nature. God is infinite, we are “the grass [that] withers and the flowers [that] fall” (1 Peter 1:24). God is all knowing, “we know in part” (1 Corinthians 13:9). God is all good, our “heart is deceitful above all things” (Jeremiah 17:9). Given the distance between God’s perfection and our imperfection, we need to interpret both His Word and His world humbly, always ready to learn more about Him through them. A new baptism in the Holy Spirit, confidence in the truth of Jesus Christ, and humility in the light of our limitations is a Pentecostal way forward through the challenges that science seems to pose to faith, even as we enjoy the many benefits it confers. *This is my editorial in the fall 2012 issue of Enrichment. Sometimes, being honest means updating in the ‘wrong’ direction. Although, in the long term, you should expect your beliefs to drift toward the correct answer, there’s no reason to expect that you approach that answer monotonically (always moving in the same direction). Talking this way lowers the stakes of each new piece of evidence, so we can consider them reasonably instead of treating any revision of our estimates as a coup de grace. Christianity the Worst Source of Evil? Those who would claim the high ground of rational and historical argument ought to sit still for some. And that argument might show–I think it does–that Christianity is not inherently hateful or violent. Instead, it would show that faithful (rather than token or cynical) adherence to Christianity generally makes a measurable positive difference: in terms of the hospitals and schools and science you mention, as well as leading markers of social and psychological health such as lasting, happy marriages, high levels of volunteerism–and, one should note, an ethical structure that actually prizes lasting, happy marriages and high levels of volunteerism. This is a start at an answer, at least. David Martin’s excellent book Does Christianity Cause War? is worth your reading on this question, as is the volume of essays edited by Kenneth Chase and Alan Jacobs, Must Christianity Be Violent? Reflections on History, Practice, and Theology. Author georgepwoodPosted on July 20, 2012 July 19, 2012 Categories Apologetics, Politics & Culture, TheologyLeave a comment on Christianity the Worst Source of Evil? “It’s right for God to slaughter women and children anytime he pleases.” @JohnPiper Really? Peter Enns has some problems with that. I do too, though I’m not sure I completely agree with Enns’s critique of Piper. Author georgepwoodPosted on July 18, 2012 Categories Apologetics, Theology9 Comments on “It’s right for God to slaughter women and children anytime he pleases.” @JohnPiper Really? Childlike Faith: Are Kids Born with Belief? Christianity Today has an interesting interview with Justin Barrett, author of Born Believers. 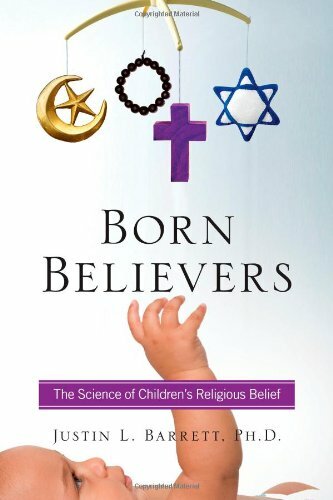 Why do you suggest children are “born believers”? I’m using that term in a folk sense, the way we might say that Michael Jordan was a born basketball player, or Mozart was a born musician. I don’t mean that Mozart came out of the womb playing the clavichord, but that given very minimal cultural and environmental input, he was going to take to it like ducks to water. Virtually all humans are essentially born believers—they have a natural receptivity to religious belief. I’m contributing a new line of research that affirms [Swiss developmental psychologist Jean] Piaget’s insight that children see design and purpose and meaning, but challenges his idea that they see human design or purpose. Piaget posited that young children believe that humans made the mountains or the sun. He thought they believed that God is just a human being involved in this creative process with other humans. But new research is showing that by the age of 4, children say that humans make some things, such as chairs and tables, but not mountains and trees. Even preschoolers know that humans are not the answer to the “who made the world?” question. Someone else is needed. What scientific evidence do you see? We are not starting with unformed blobs that can be shaped into anything we like. Research from developmental psychology suggests children learn some things more easily and are attracted to some ideas more than others. There are certain kinds of ideas that children can learn more easily and rapidly than others, and internalize more deeply, such as believing in gods. Children have a natural disposition to see the natural world as having purpose. Research has shown that children have a strong inclination to see design in the world around them, but they are left wondering who did it. They also know design doesn’t arise through random chance or mechanistic processes. In fact, children (and adults) automatically look for a person behind purpose or design. By five months old, infants already make the distinction between things that are acted upon and those things that do the acting, that is, intentional agents (like people). And preschoolers’ default assumption is that these agents are super-knowing, are super-perceiving, and are not going to die. If a child is exposed to the idea of a god that is immortal, super-knowing, super-perceiving, the child doesn’t have to do a lot of work to learn that idea; it fits the child’s intuitions. How do you respond to arguments that say that what you are describing is normal childish belief in magical creatures, such as Santa? There are all kinds of childish beliefs, such as the idea that other people have minds, that there is a real world out there, that the laws of nature are stable, that my mother loves me. All these ideas are rooted in children’s early developing intuitions. If that is someone’s claim, I accept it; religious belief is in awfully good company. There are interesting similarities to Santa Claus. He is an agent, with special powers to account for certain kinds of peculiar events in the world. But Santa falls terribly short in other domains. He matters only a few weeks of the year at best. He doesn’t fill the conceptual gap about why the natural world is the way it is. There are limitations as to what Santa knows and doesn’t know, what Santa perceives and doesn’t perceive. At the core, the reason children believe in Santa is that Santa is propped up through ruse and deception. If that’s all religions had going for them, they would die out pretty quickly. Author georgepwoodPosted on July 17, 2012 July 17, 2012 Categories Apologetics, Interesting, Parenting, TheologyLeave a comment on Childlike Faith: Are Kids Born with Belief?